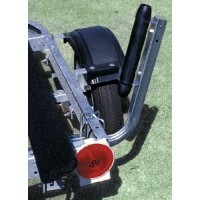 Boat Trailer Guide Protectors simply slide over existing trailer guide posts to help protect boat fr.. 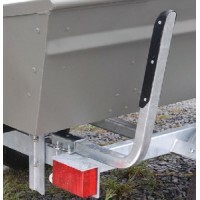 Helps you visually guide your boat onto your trailer. 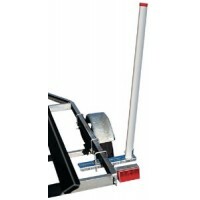 Non-marring, marine grade PVC uprights with Ga.. 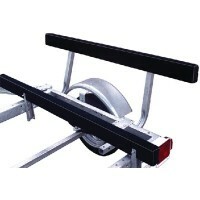 Feature unique non-marring cushion rollers to prevent hull damage and scuffing. Galva-Tec® steel fin..
Marine grade carpet cradles your boat, protecting it from scratches and dings. All hardware is hot d..
Adapts to all tube and channel trailer frames. Hot dip galvanized for lasting protection. 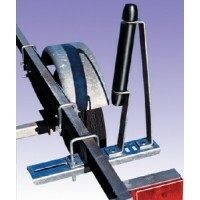 Heavy duty..
Soft poly vinyl cradles your boat protecting it from scratches and dings. All hardware included. Uni..
Mount these 13" rubber rollers on top or beneath frame for added adjustment. 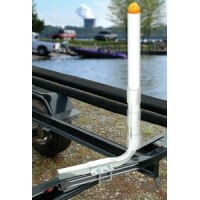 Hot dip galvanized moun..
PVC pipe guides the boat on safely and gives a visual aid when backing an empty trailer. 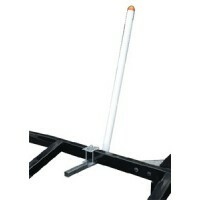 The non-mar..
Guide on post kits 48 Box: 1 pr.Height: 48"..
Guide on post kits 60 Box: 1 pr.Height: 60".. 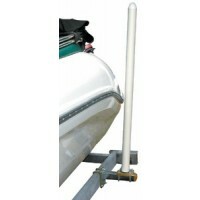 When the trailer is submerged, the PVC guide rises upward adding an additional 12" in sight with adj.. 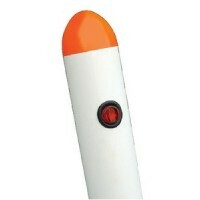 Ideal for jon boats, bass boats and personal watercraft. 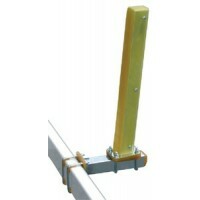 The guide posts are made of 1-1/2" square, .. Ideal for larger pontoon boats. 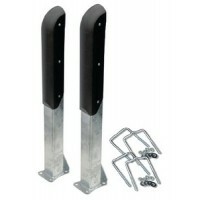 These guides are designed for rough water loading where high impact .. 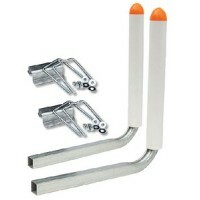 Bright orange end caps on these PVC guides gives a brighter target when loading a pontoon boat. 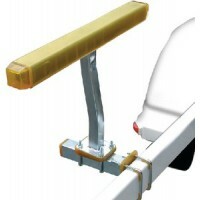 The ..
Roller angle adjusts to angle of hull; 16" of adjustment (8" each side). Hot dip galvanized steel. O.. Hull Sav'r boat guides are designed to absorb impact of the hull and protect the trailer's finish. P..